Until that time, the embodied memory can be touched and awakened by internal or external events so that we are physically and emotionally colored with the felt sense of the experience again as though no time has passed. Yet despite all of this, the ability to offer the safe sanctuary of presence is central to effective clinical treatment of trauma and indeed to all of therapeutic practice. Weaving neuroscience, mindfulness and relationality with the skills of therapy, Bonnie Badenoch provides an essential and priceless guide to the compassionate and heartfelt core of trauma therapy and trauma healing. Diving into the experience of this book will help you integrate evidenced based research findings with your inner world making you a better therapist. 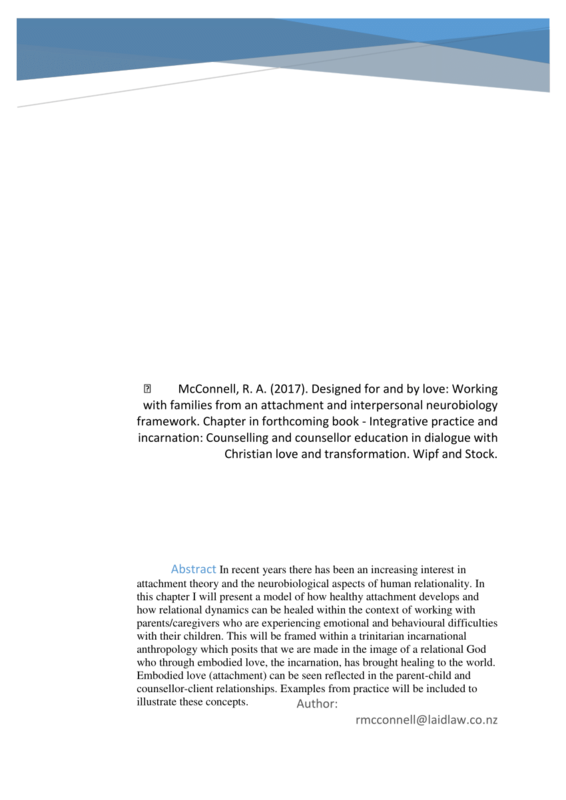 There is a wellspring of inspiration for therapists here, a thoroughly researched and referenced approach to healing that will serve readers for years. She integrates the latest neuroscience, supporting our left-brain comprehension. In this book, Bonnie Badenoch, a gifted translator of neuroscientific concepts into human terms, offers readers brain- and body-based insights into how we can form deep relational encounters with our clients and our selves and how relational neuroscience can teach us about the astonishing ways we are interwoven with one another. This loss of leisurely, sustained, face-to-face connection is making true presence a rare experience for many of us, and is neurally ingraining fast pace and split attention as the norm. How we walk about in our daily lives will touch everyone, often below the level of conscious awareness. Using this left-brain research can support greater deepening in our right-brain, relational-functioning; vital in our current unbalanced left-shifted culture and in mitigating and healing traumas. In truth, we are all suffering together in some way. She reminds us that the effects of trauma persist throughout our body, mind and soul when we are left alone to experience the most unimaginable, terrifying and brutal aspects of life. This loss of leisurely, sustained, face-to-face connection is making true presence a rare experience for many of us, and is neurally ingraining fast pace and split attention as the norm. She makes the case that we are built to seek out, enter, and sustain warm relationships, all this connection will allow us to support the emergence of a humane world. Porges Hardcover The polyvagal theory presented in client-friendly language. Used with the permission of the publisher, W. Morgan Hardcover A new model of addiction that incorporates neurobiology, social relationships, and ecological systems. Schore Hardcover An exploration of how the unconscious is formed and functions by one of our most renowned experts on emotion and the brain. For anyone curious about neuroscience, or captivated by psychology--this is a profoundly rewarding and rich read. Bonnie Badenoch creates an atmosphere of welcome and warmth for those who are interested in taking therapy and personal healing to their deepest levels - I'm grateful to the author for her dedication to integration of neuroscience and relationship. In this book, Bonnie Badenoch, a gifted translator of neuroscientific concepts into human terms, offers readers brain- and body-based insights into how we can form deep relational encounters with our clients and our selves and how relational neuroscience can teach us about the astonishing ways we are interwoven with one another. Badenoch then delves even deeper into the clinical implications of moving through the world. We each experience more digital data than we are capable of processing in a day, and this is leading to a loss of empathy and human contact. The first part of The Heart of Trauma provides readers with an extended understanding of the ways in which our physical bodies are implicated in our conscious and non-conscious experience. Badenoch then delves even deeper into the clinical implications of moving through the world. She makes the case that we are built to seek out, enter, and sustain warm relationships, all this connection will allow us to support the emergence of a humane world. Our early history, in embodied implicit form, continually whispers the subjective truth that plays an important role in shaping how we perceive our lives, particularly in our relationships, to this day. Porges, PhD, is Distinguished University Scientist at Indiana University, where he directs the Trauma Research Center within the Kinsey Institute. In The Heart of Trauma, trauma therapist and writer Bonnie Badenoch held my attention from the very first page to the very last. Change at this depth is not as simple as having supportive relationships now. In this book, Bonnie Badenoch, a gifted translator of neuroscientific concepts into human terms, offers readers brain- and body-based insights into how we can form deep relational encounters with our clients and our selves and how relational neuroscience can teach us about the astonishing ways we are interwoven with one another. It is our challenge to remain present within our culture, Badenoch argues, no matter how difficult this might be. 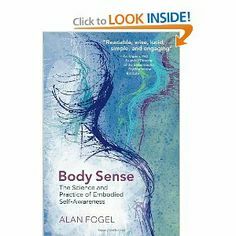 She explains the work of Porges, McGilchrist, Panksepp, Ecker, and others thoroughly and accessibly, weaving multiple threads of clearly explained insight into a larger tapestry of exciting, empowering meaning. The first part of The Heart of Trauma provides readers with an extended understanding of the ways in which our physical bodies are implicated in our conscious and non-conscious experience. 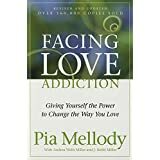 Adding to the overall quality and effectiveness of this book is the atmospheric quality of compassion that invites us to experience the healing power of learning to being tender-hearted toward ourselves and others in the midst of our difficulties. Using this left-brain research can support greater deepening in our right-brain, relational-functioning; vital in our current unbalanced left-shifted culture and in mitigating and healing traumas. This loss of lei Images and sounds of war, natural disasters, and human-made devastation explicitly surround us and implicitly leave their imprint in our muscles, our belly and heart, our nervous systems, and the brains in our skulls. We might say that any part of us that can be touched in this way is carrying a traumatized state. If we are willing to consider this very broad and inclusive definition of trauma, we will find it can hold so much, from accumulation of many small unseen and uncomforted daily wounds that beings for many of us in childhood, to the experience of natural disasters, wars, poverty, and cultural distress, to the overt and covert extremes of suffering that happen mostly as a result of the intergenerational transmission of pain. We each experience more digital data than we are capable of processing in a day, and this is leading to a loss of empathy and human contact. Is there a heart of trauma? It is our challenge to remain present within our culture, Badenoch argues, no matter how difficult this might be. It is through the compani Is there a heart of trauma? This loss of leisurely, sustained, face-to-face connection is making true presence a rare experience for many of us, and is neurally ingraining fast pace and split attention as the norm. With extensive grounding in neurobiology, her book will be a guiding inspiration to therapists who focus their work on providing a nurturing, life-changing relationship experience for clients. Adding to the overall quality and effectiveness of this book is the atmospheric quality of compassion that invites us to experience the healing power of learning to being tender-hearted toward ourselves and others in the midst of our difficulties. This definition encourages us to look into the neural and interpersonal aspects of experience for an understanding of how we become traumatized rather than toward the nature of the experience itself or a list of symptoms. As clinicians, a felt sense of this can often support deepening trust in the space between as our patients begin to rest in our acknowledgment of this common ground. It is through the companionship of another, who accompanies us to those places from an attuned and co-regulated place, that we are most likely to heal. He holds the position of Professor of Psychiatry at the University of North Carolina and Professor Emeritus at the University of Illinois at Chicago and the University of Maryland. How each of us can become a therapeutic presence in the world. This reviewer has misrepresented Porges and Badenochs well established and scientifically grounded and accepted discoveries about the autonomic nervous system. She keeps the reader intently engaged with how these paradigms come together to illuminate our understanding of the micro and meta workings of human minds--in wondrous, big-picture ways, but also in intimately practical ones. In 1994 he proposed the Polyvagal Theory, a theory that links the evolution of the mammalian autonomic nervous system to social behavior and emphasizes the importance of physiological state in the expression of behavioral problems and psychiatric disorders. Porges Paperback Bridging the gap between research, science, and the therapy room. Yet despite all of this, the ability to offer the safe sanctuary of presence is central to effective clinical treatment of trauma and indeed to all of therapeutic practice. This loss of leisurely, sustained, face-to-face connection is making true presence a rare experience for many of us, and is neurally ingraining fast pace and split attention as the norm. We each experience more digital data than we are capable of processing in a day, and this is leading to a loss of empathy and human contact. This book offers brain- and body-based insights and skills for the reader to heal not only clients but also themselves. The process of neuroscience, expanding into personal experience, expanding into compassionate love, expands into an open-ended invitation for us to ponder the spiritual depths in which we as human beings seek to find the ultimate meaning of our lives. Bonnie Badenoch addresses this by describing her inner resonance with her clients along with her application of the research. The part of us who experience the pain or fear stops developing and continues in this disrupted state until the necessary conditions—usually a trustworthy, sustained interpersonal connection—arrive to provide the sanctuary for change. Abstract: Throughout this book, Bonnie Badenoch demonstrates how research in neuroscience helps us to find effective ways to heal from the damaging effects of trauma in our lives. She presents a strong, scientifically grounded case for doing the work of opening to hemispheric balance and relational deepening. He has published more than 250 peer-reviewed scientific papers across several disciplines including anaesthesiology, biomedical engineering, critical care medicine, ergonomics, exercise physiology, gerontology, neurology, neuroscience, obstetrics, pediatrics, psychiatry, psychology, psychometrics, space medicine, and substance abuse. The first part of The Heart of Trauma provides readers with an extended understanding of the ways in which our physical bodies are implicated in our conscious and non-conscious experience.